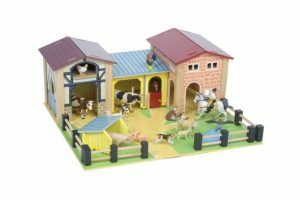 Our Farmyard Play Sets are wonderful toys, and our Riding School Play Sets are awesome ! 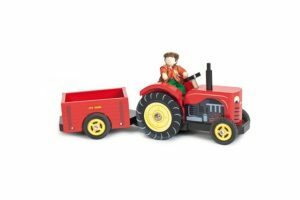 All children, whether they’re from the city or the country, have lots of fun playing “farm”. 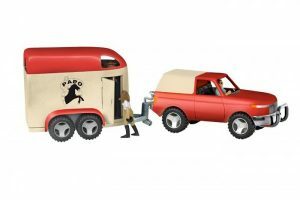 We have farm families, tractors and wagons, and farm animals… so they can grow vegetables, milk cows, pick apples, raise livestock and ride horses. 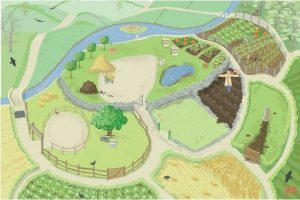 Our Farmyard Play Sets provide a great opportunity to encourage children to appreciate local farmers, and learn food doesn’t come from a “supermarket”. 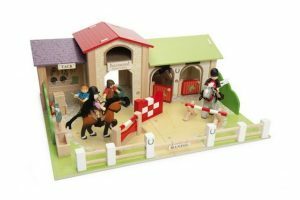 Our Riding School Play Sets have excellent play value too, with knock-down jumps and fences for young “riders” to practice their riding skills, or hold equestrian competitions. 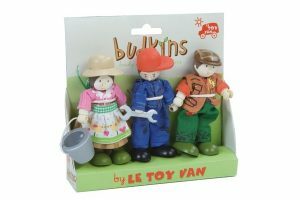 There are cute little Budkins on horses here too, tractors with wagons, and delightful little wooden animals for younger children. And all made with care, to be safe and last a lifetime.